(MENAFN - PRLog) Three Square Market hosted operators ranging from small entrepreneurs to global companies plus leaders from the visually impaired community at their new 140,000 square foot headquarters in River Falls, WI for 2 days of learning, networking and planning. Attendees saw new kiosks, coolers, technology and 32M's new public facing self checkout markets that will disrupt convenience shopping moving forward. Attendees also heard from Eric Dell & about the importance of attending the NAMA Fly In. 1 2 3 4 5 Eric Dell addresses 32M User Conference Attendees 32M's 2019 Best Seller: the 32M Mini Market The newest 32M Self Pay Market getting set to open in Ohio on April 4, 2019. L to R: Michah Larsen, Patrick McMullan & Eric Dell celebrate their wins. 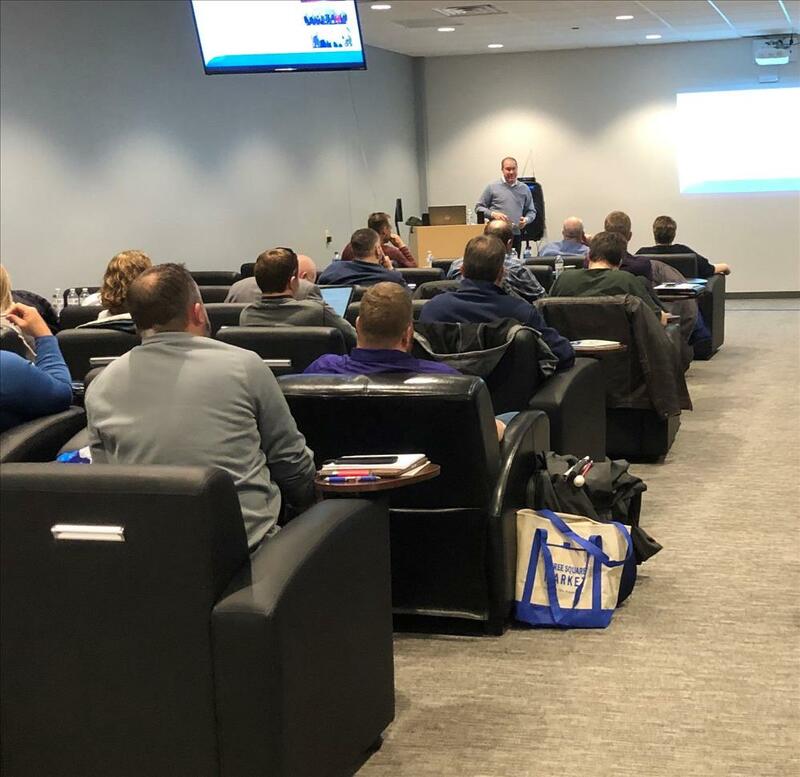 Visually Impaired attendees and 32M collaborate to plan 2019 actions for success RIVER FALLS, Wis. - March 21, 2019 - PRLog -- Three Square Market (32M) recently hosted their system users from across the U.S. at their headquarters learning about all of the new technology, products and store options 32M is rolling out in 2019. Attendees saw first hand 32M's hottest product, the 32M Mini Market, Three Square's new Norm Tech cooler line and blind operators from the across the country got first hand experience with features specifically for the visually impaired. Operators found the conference to be business changing.